ARM’s new high-performance computing facility integrates multiple levels of computing resources and storage systems. The ARM Data Center offers computing infrastructure to support next-generation ARM model simulations, petascale data storage, and big-data analytics for atmospheric and climate science research. Users can apply to use a high-performance computing facility that integrates multiple levels of computer resources and storage systems. This public software development space enables users to work with large volumes of ARM data without having to download them. The ARM Data Center compute architecture and cyber infrastructure integrates two high-performance computers and provides tiered access to computing resources. The Stratus cluster is a small-scale Cray cluster, which consists of 1,080 processing cores with 256 gigabyte memory per node. It offers two tiers of data storage including 2 terabyte solid-state drive per node as fast read/write scratch storage and 100 terabyte Lustre parallel file server. This cluster will allow science users to develop and run computer-intensive retrieval algorithms and perform large-scale ARM data analysis and extractions with direct access to ARM data. Stratus will also be used for a range of ARM infrastructure processes, including routine radar processing, large-scale reprocessing, complex value-added product operations, NoSQL-based advanced visualizations, long-term data quality analysis, and bulk data plot generations. The Cumulus cluster is a mid-range Cray system that consists of 4,032 processing cores with 2 petabyte (PB) General Parallel File Server (GPFS). 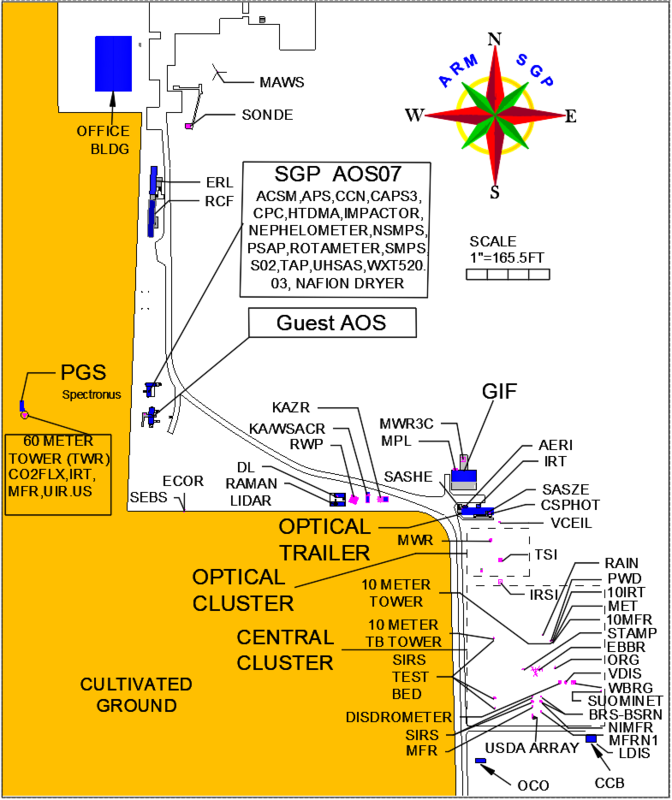 This cluster will be primarily used for routine operations of Large-Eddy Simulation (LES) ARM Symbiotic Simulation and Observation (LASSO). The initial LASSO implementation on the Cumulus cluster will be for ARM’s Southern Great Plains site in Oklahoma and will focus on high-resolution model simulations of shallow clouds driven by ensembles of forcing inputs. Directly use the LASSO simulations. Explain why ARM computational cluster resources are the most appropriate computational resources for achieving the science goals. Large-scale simulations and data analytic applications that do not require the use of high volumes of ARM data may be more suitable for the U.S. Department of Energy’s (DOE) National Energy Research Scientific Computing Center or other DOE leadership computing user facilities, such as Oak Ridge National Laboratory Leadership Computing Facility and Argonne National Laboratory Leadership Computing Facility. Allocations for these computational facilities should be requested directly from the individual facilities.